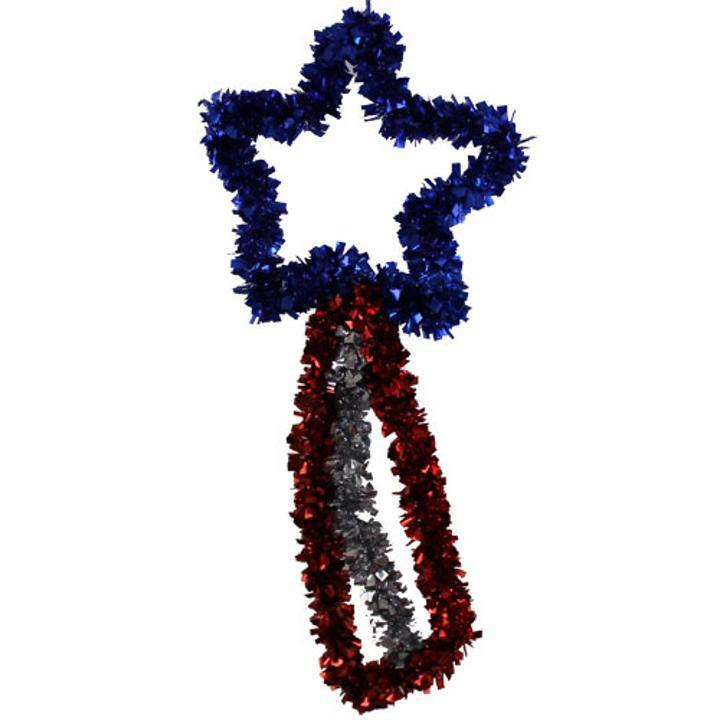 16" Patriotic Tinsel Shooting Star is the perfect addition to any party. The bright red silver and blue tinsel reflects beautifully and brings out the Patriotic spirit in everyone. This classic fringed star is easy to hang and can be used indoors and outdoors. This high quality wreath will last throughout the entire Summer holiday season. Perfect for Fourth of July picnics, Memorial day floats and everyday household decorating. L: 16.0 in. W: 7.5 in. H: 0.5 in.